There are few things as quintessentially Italian as pizza. An icon of Italy’s food culture around the world, it’s the one dish that every visitor simply has to try - so join one of our pizza-obsessed experts on this special Roman Pizza and Gelato Tasting tour and get the true taste of Italy! And if you've got a sweet-tooth too fear not, because we've also got you covered: after lunch we'll head off in search of the city's best gelato. Pizza in Italy is a source of immense pride, and devotees fall into two main camps – those committed to the thin and crispy Roman variety and diehards of Naples’ thicker, doughier offering. Friendships have been made and relationships ruined over which tradition is best, but on this tour we’ll be keeping things strictly local - giving you the low-down on how residents of the Eternal City like their pizza. From takeaway pizza al taglio, ordered by the slice for an on-the-go lunch, to the masterpieces of Rome’s finest pizzerias, we’ll wander through some of Rome’s most charming neighbourhoods on our quest for the city’s best-tasting pies, passing Campo de’ Fiori and Piazza Navona along the way. Learn how pizza is made and get to grips with the essential ingredients that go into making the perfect pizza, from high-quality dough to mozzarella and Italian tomatoes. Discover pizza's fascinating history dating back to ancient times and uncover the time-honoured methods deployed by expert pizza chefs known as pizzaioli, geting an up-close look at the special brick wood-fired ovens that cook them in a matter of minutes. After your lunch, chances are you’re going to want something sweet. So what better way to finish off your discovery of Italy’s most iconic food traditions than by tasting some gelato, another of the country’s mouth-watering contributions to world cuisine? Our expert local guide will lead the way towards one of the city’s finest parlors where you’ll get to try two kinds of homemade artisan gelato - and learn exactly what to look for when seeking out the best gelaterie. Our pizza and gelato tour is one of Rome’s best food tours, the perfect introduction to Italy’s mouth-watering food culture. 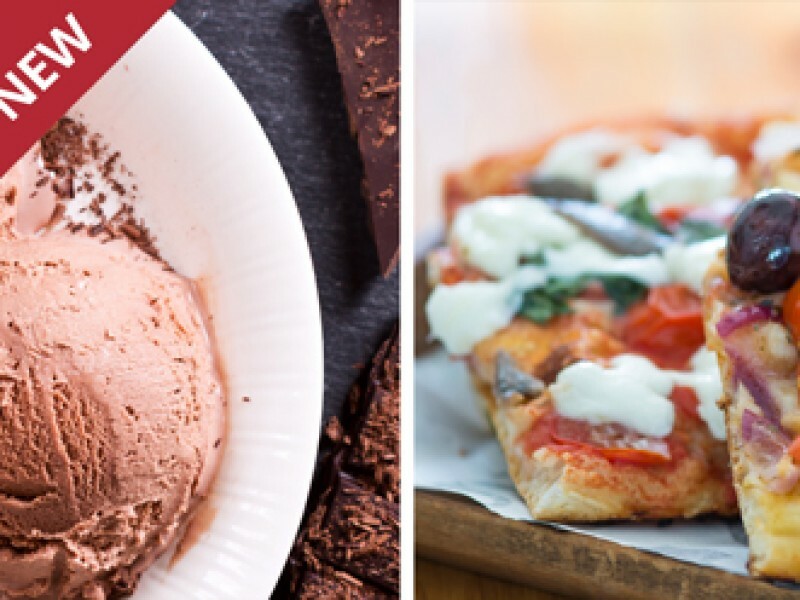 Book your place today and discover pizza and gelato at their traditional best. DIETARY RESTRICTIONS: Please let us know if you have any restrictions. Due to the nature of this tour we cannot accommodate gluten-free diets. For a private tour, please contact us directly. 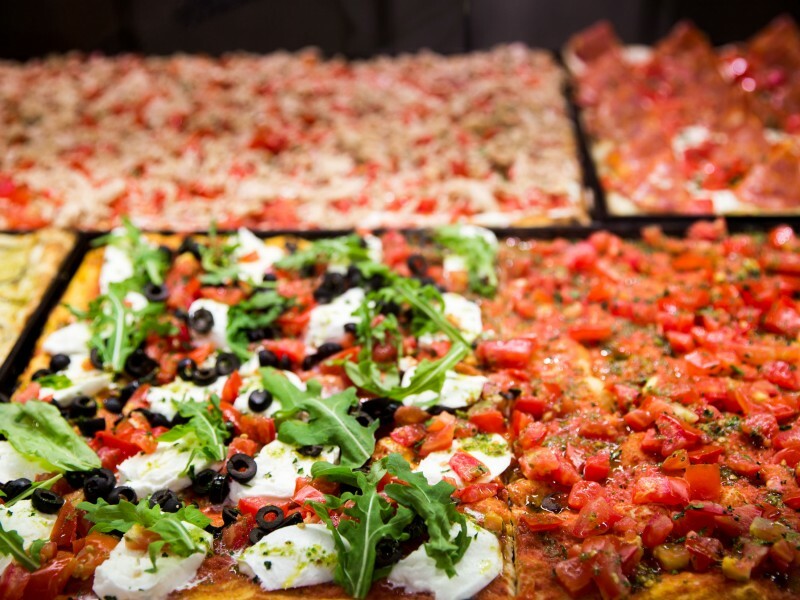 Rome offers many different types of pizza, but which should you taste? Join us for the best Pizza Food Tour in Rome where we offer you the chance to taste and learn about: pizza al taglio, pizza al piatto, pizza romana, pizza bianca, pizza rossa, focaccia, and pizza scrocchiarella. 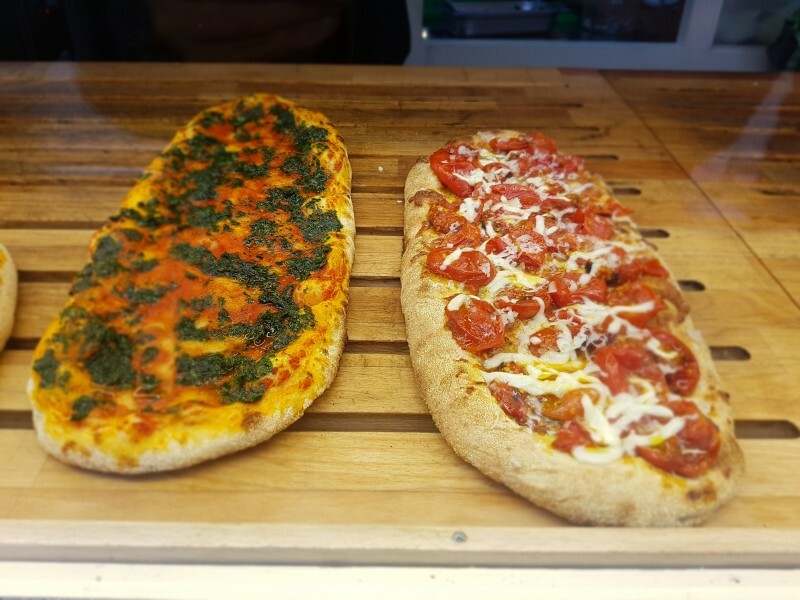 Join our expert food guide and work up your hunger as you stroll through the city centre, learning about Roman pizza traditions and stories with each bite! Explore the side streets around Campo de’ Fiori and Piazza Navona. Real-life eating experience: order and eat like a local. 4 tasting stops, including a sit-down lunch at a local pizzeria. A minimum of 6 tastings on the tour, including pizza al taglio, pizza al piatto, pizza romana, pizza bianca, pizza rossa, focaccia, and pizza scrocchiarella.